"there is no good reason to believe in unified field theory, and no good reason for believing that string theory would be progress towards that end." Maybe you should try to learn about this stuff before blasting your ignorance all over the internet. This sentence indicates that you're about a hundred years behind the cutting edge in your understanding of physics research. Unified field theories were studied by Einstein and Kaluza-Klein, but pretty much nobody nowadays thinks that the fundamental forces should be unified by a field theory. In particular, string theory is NOT a quantum field theory. I don't know what hair-splitting point you are trying to make. 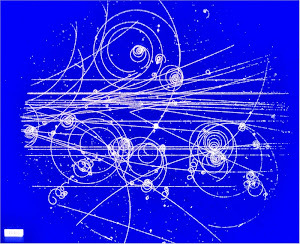 It is true that string theory fails to explain any particles or fields found in nature. But the purpose of the theory is to explain them all. It certain is, or at least tries to be, a unified field theory. Just ask yourself, does string theory aim to explain electromagnetic fields, weak fields, string fields, and gravity fields? If so, then it aims to be a unified field theory. "I don't know what hair-splitting point you are trying to make." The point is that you don't know what the term "unified field theory" means. When you say that something is a "field theory" you mean that the theory is formulated in terms of a spacetime manifold with a collection of classical field configurations. 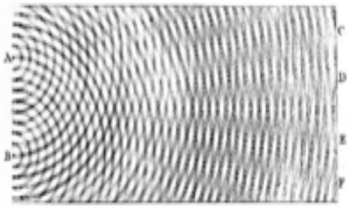 We've known for a long time that gravity cannot be quantized as a field theory. String theory is therefore not formulated as a quantum field theory. Rather, it is a quantum mechanical theory that gives an effective description of gravity in its low energy limit. I am using the term Unified field theory as it is defined on Wikipedia. That article mentions string theory as a promising way to unify the known fields. We have known for a long time that string theory fails to unify any fields, and unification is the stated purpose of the string theorists. Uh, no. That article says "The 'theory of everything' and Grand Unified Theory are closely related to unified field theory, but differ by not requiring the basis of nature to be fields". So are you trying to say that string theory is not a unified field theory, but a 'theory of everything' or a Grand Unified Theory instead? Regardless of which term you prefer, string theory is a theory that aims to unify the fields. Not successfully, but that is what its leaders claim that they are trying to do. "So are you trying to say that string theory is not a unified field theory, but a 'theory of everything' or a Grand Unified Theory instead?"